From left to right: Carmen Ruiz, Jhoana Granados, and Briana Rodriguez play a bidding game. 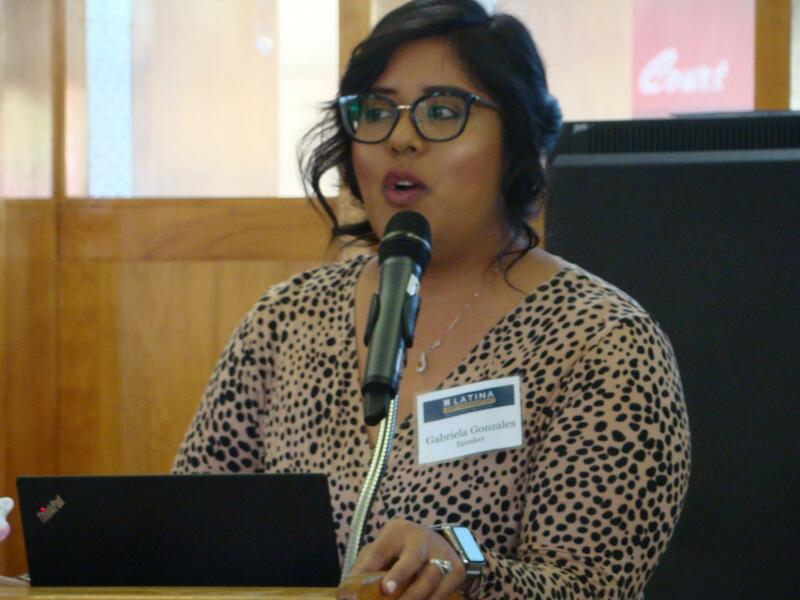 Hosted by the Hispanas Organized for Political Equality (HOPE) with the goal of helping females expand their leadership abilities, the Latina Empowerment Day was held on Oct. 27 at the Fireside Room at Bakersfield College. The event began with remarks by Belinda Barragan, who is the Programs and Policy Director of HOPE. She went over the agenda for the day and introduced the first of several Latina leaders who would be sharing their insights with the audience. Gabriela Mello took the stage next. She is the Vice President and Community Relations Consultant at Wells Fargo. She is an advocate for better opportunities for Latinas in business and supports those who decide to start local small businesses. “The magic number here is 500. There are 500 Latinas receiving leadership training such as this throughout California,” Mello said. She added that attending leadership training is key to becoming an influencer in the community. After the opening remarks, females played the Energy and Environment game which was designed to help them understand how Cap and Trade works in California to achieve Greenhouse Gas Emissions reduction goals. The game was followed by a discussion of the ways in which leaders can give back. Barragan guided teams in determining how to allocate funds to better their community. Some suggested investing in education while others wanted to create sustainable communities. The next speaker was Gabriela Gonzales, the President of Latinas Leaders of Kern County. She talked about her organization and how they have been able to empower Latinas. Lunch was followed by talks about financial health. Latinas were told to get smarter about credit and secure a retirement plan regardless of their age. For good credit, advisors recommended paying down high-interest rates first and paying more than the minimum monthly payment. Monica Arias, Wells Fargo’s Work Program Manager, shared tips for females who were interested in saving money to start a business. She emphasized the importance of saving money and explained that even putting 5 to 10% of one’s monthly income aside can help. “It doesn’t take a big change to make a big change,” Arias added as females raised their hands to ask questions. Prompted by a question, she recommended that everyone reviews insurance annually because they could be paying more for services they do not need. Gabriela Gonzales, president of Latina Leaders of Kern County, talks about her association which helps Latinas in the community gain leadership skills. The last speaker for the day was Noelia Sanchez, Digital Brand Strategist, who helped Latinas become better negotiators. She explained that even those who were not leaders could benefit from understanding the dynamics of effective negotiation. Barragan concluded the conference by reminding Latinas of the impact they can have on their communities. “We see more and more Latinas at the table making important decisions about money, environment, and health-related topics,” she said. 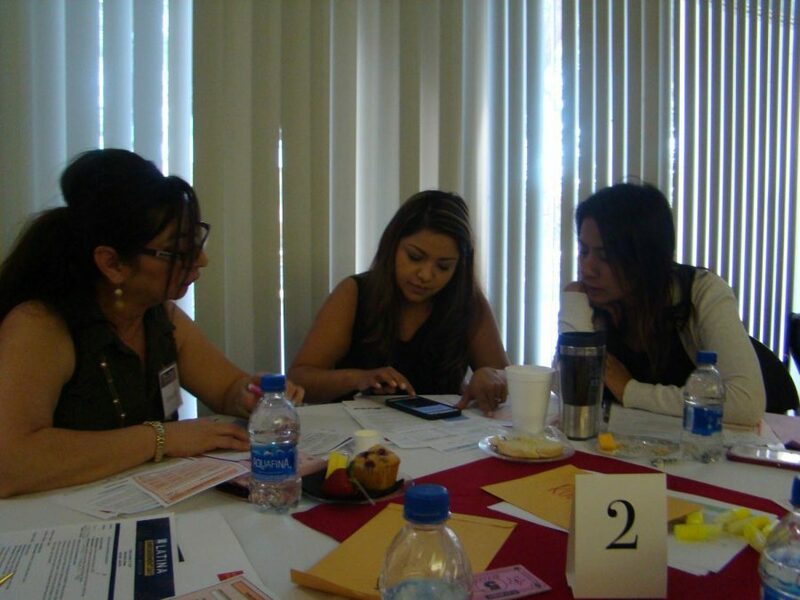 In addition to the workshops, Latinas of Kern County had opportunities to get to know each other and exchange business cards so that they could stay connected in the future. Carmen Ruiz, a small business owner, said that the conference was a great way to network. The Latina Empowerment Day began at 8:30 a.m. and ended at 3 p.m. The event is held by the HOPE Leadership Institute (HLI) every year in different cities throughout California. The institute is the only statewide leadership program that targets professional Latinas specifically.